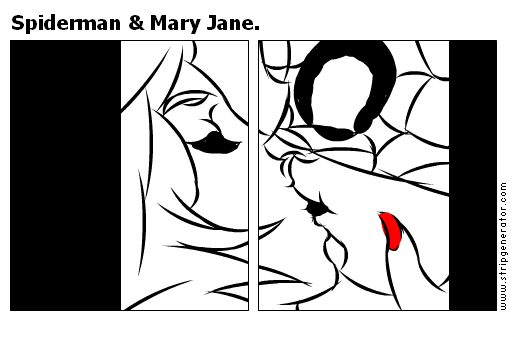 Stripgenerator.com - Spiderman &amp; Mary Jane. Bribed!!! And a great spidey-kiss!! Pff, that'd been too hard to make. ...but, SM wasn't he, on head-down position !? !